Do you have an injury or pain that’s preventing you from living the active lifestyle you want? Board-certified orthopedic surgeon and sports medicine specialist Marilyn E. Copeland, MD can help restore your health and function. 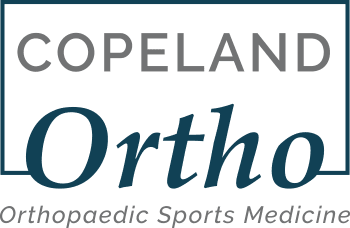 Part of the Fondren Orthopedic Group in Webster, Texas, Dr. Copeland offers the latest orthopedic surgery techniques to patients throughout the Clear Lake and Greater Houston area. If a sports injury has sidelined you, call Dr. Copeland’s office or request an appointment online today. When conservative therapies have proven unsuccessful, Dr. Copeland performs orthopedic surgery to treat injuries or conditions that affect your musculoskeletal system. Areas commonly addressed by orthopedic surgery include your muscles, bones, joints, tendons, and ligaments. Orthopedic surgery provides effective treatment for sports-related injuries as well. Dr. Copeland is fellowship-trained in sports medicine, board-certified in orthopedic surgery, and she’s experienced in treating a wide range of musculoskeletal issues. What conditions are treated with orthopedic surgery? Are women more prone to joint conditions? Joint pain is a common symptom of menopause, so if you’re over the age of 40 and experiencing joint pain, you might want to speak with Dr. Copeland. Women also tend to be at higher risk for rheumatoid arthritis and autoimmune diseases that damage the joints. The female gender also has different hormones that can contribute to increased risk of injury, such as an ACL tear. Which procedures fall under orthopedic surgery? With this minimally invasive procedure, Dr. Copeland inserts an arthroscope -- a small tube with a camera -- through a small incision for a magnified view of the inside of a damaged joint. Internal fixation helps hold broken bones together using screws, pins, and other metal devices. Reserved for more serious joint conditions, joint replacement surgery involves the removal of a damaged joint, followed by replacement with a prosthesis. What can I expect during orthopedic surgery recovery? Depending on your injury, Dr. Copeland may recommend a period of rest following surgery to ensure proper healing. This period can last anywhere from a few weeks to several months. In many cases, she’ll assign you a physical therapist to help strengthen your injury during the recovery process. It’s important you follow your prescribed therapy routine to hasten recovery and prevent re-injury of the area. If you’re experiencing joint pain or you’ve suffered a sports injury, call Dr. Copeland or request a consultation online today.